Quote appears in the mouth of the character of Clenches in Hume's Dialogues Concerning Natural Religion. A book in which Hume shows this argument to be unsound. LOL! This is a quote from Hume's "Natural History of Religion." The words are his own, not the words of a character. 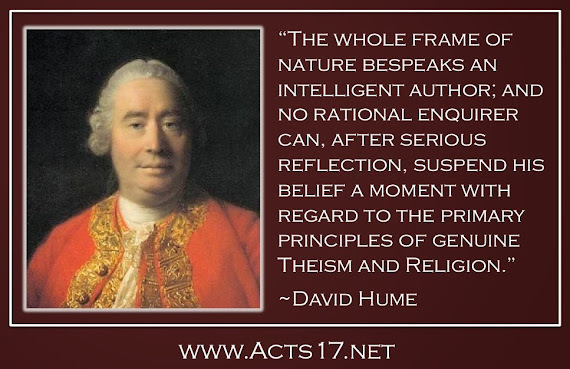 Hume was a deist who believed in a designing intelligence. Get over it.